Unravel the mystery and save your brother from eternal darkness! 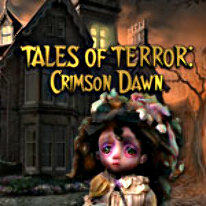 A group of hooded, shadowy figures abduct your brother right before your eyes in Tales of Terror: Crimson Dawn! Your search for him leads you to a remote mansion plagued by a sinister secret. Can you unravel the mystery and rescue your brother from eternal darkness? Find out in this thrilling Hidden Object adventure game!